Sir Ernest Shackleton was one of the 20th Century’s greatest heroes. The third of our new series of mental toughness role models. Each feature’s an individual who has clearly and consistently demonstrated the elements of Mental Toughness that we call the 4Cs. Mental Toughness embraces what is commonly known as Resilience and adds the Optimism components of Challenge and Confidence to create a more complete model. Born in Co. Kildare, Ireland, 1874, Ernest Shackleton was expected to follow his Father and become a doctor. Instead, Shackleton left school at 16 and joined the Merchant Navy. By the time he was 18, he became first mate and became a master mariner in just 6 years. Shackleton joined the distinguished pole explorer Sir Robert Scott in an expedition to the South Pole in 1901. They got closer to the South Pole than any person before them. However, Shackleton fell ill and had to return home. This experience sparked a lifetime love of Antarctica and becoming the first man to reach the South Pole became a dream. Unfortunately, for Shackleton, in 1911, his dream was achieved by Norwegian Roald Amundsen. Despite this, he did not abandon his Antarctic ambitions and wrote of “little voices calling him south”. As Germany declared war on Russia, August 1st, 1914, Shackleton left London on his ship the Endurance intending to be the first to successfully complete a trans-Antarctic expedition. It took 4 months to reach a whaling yard in South Georgia, where Shackleton and his crew had a few weeks of rest and replenishment for their hazardous journey ahead. On December 5th, they departed South Georgia for Antarctica. It was the last time Shackleton and his crew would be on solid ground for two years. Disaster struck when their ship became trapped and crushed in pack ice. The story is incredible, and I would urge readers to look into it in more detail. However, it will suffice to say they that they had a long and difficult journey ahead of them if they were to reach safety. The crew lived on the floating ice for nearly 15 months hoping the pack ice would loosen its grips on the Endurance. One can only imagine how the crew felt when she eventually sank on November 21st, 1915. Stranded in one of the most inhospitable places on the earth. No hope of rescue, no way to call for help. 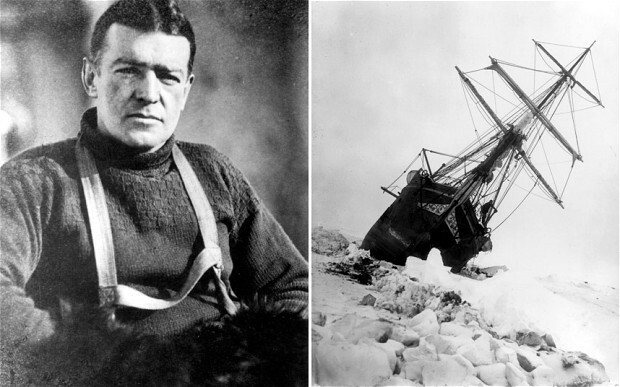 For Shackleton, this was an extreme test of mental toughness and self-belief. Shackleton and his crew gathered what they could carry and set off in 3 small overcrowded boats heading for Elephant Island, at the tip of Cape Horn. From there, he selected a small crew, modified one of the lifeboats to withstand the rigours of the Weddell Sea and set off for South Georgia. Leaving behind 22 members of his crew, Shackleton and 5 others crossed one of the most treacherous seas in a glorified rowing boat. It took them 16 days to make the 1300km trip assisted by strong currents and trade winds. They then crossed South Georgia with no maps, over mountain ranges and glaciers. The small crew finally made it back to the Whaling station from where they had set off two years previously – so emaciated the whalers did not at first recognise them, “I do not know you” said the manager, “But I know your voices”. Grateful to be alive, Shackleton worked tirelessly to arrange a rescue boat to save his men on Elephant Island. Bearing in mind the political climate and the world war at this time, finding a naval boat was difficult. The British Admiralty refused to send a boat. The Chilean Admiralty did. They lent a boat, in which Shackleton rescued his men on August 25th, 1916. Amazingly, all 28 members of his crew survived almost two years of being stranded in one of the world’s most desolate places. Looking more closely at the mental toughness components of this story we can see that it was these skills that made any of it possible. Firstly, the resilience demonstrated on this epic journey has resulted in this being the tale of one of the toughest quests (with a positive outcome) seen in the 20th Century. The mental toughness model and the 4 C’s can help us to understand this story and tease out what skills Shackleton possessed which enabled him to accomplish what he did. Shackleton’s confidence in his own ability to achieve his dreams, despite numerous setbacks never failed him. These included seeing close friends and crew members perish on previous Antarctic expeditions, having someone else achieve your lifelong dream, developing a new dream and executing it, only for the dream to be crushed (literally) before your eyes. Added to this, he was now faced with the responsibility of bringing his men home alive. Shackleton’s confidence in his own abilities to achieve his goals was the superhuman effort he referred to. The results speak for themselves. It can be argued that Shackleton’s leadership abilities were the core reason why all 28 men made it home safely from the Endurance expedition. His own self confidence was reassuring to the men who literally followed him into darkness. Shackleton was seen by his crew as a beacon of strength and constantly engaged with them to keep their emotional and mental wellbeing in check. Above, is the notice for employment on the Endurance posted by Shackleton. As you can see, he did not beat around the bush when describing the risk laden conditions these men would live in. This was to be his 3rd journey to Antarctica, he had learned from his previous experiences, remained undaunted and he was familiar with what lay ahead. He continued to pursue his goals and encouraged others, in the name of “honour and recognition”. When things began to unravel, Shackleton, never threw in the towel and declared “this is just my luck”. Even with Mother Nature dictating the situation, that you cannot control, he persevered and concentrated on what he could control and how to execute a plan of action to save his men. Shackleton again demonstrated control of his emotions in front of his crew members. He understood that the thin thread of hope they possessed was intrinsically entwined in his behaviours and attitude. His crew members diaries often referred to how in tune he was with the group morale. When selecting the small crew to join him on the journey to South Georgia, Shackleton selected one member, because he was aware that this member was a bully. Shackleton knew this individual would be detrimental to the wellbeing of the group that was to be left behind. By gauging this emotional situation, Shackleton was able to orchestrate the harmony of his crew, even in absentia! Shackleton knew them of his crew by name and details of their family background. While himself and the crew discarded all their worldly possessions, in preparation for the arduous boat journey, he insisted that Hussey keep his banjo in order to keep spirits raised. Shackleton died in 1922 while on a return journey to Antarctica, surrounded by members of his beloved crew. Possibly, one of the greatest leaders of the 20th century, who illustrated the relationship between mental toughness and true leadership – and what this can achieve.